We offer engraved archtectural signs, garden signs and cast metal bronze plaques. 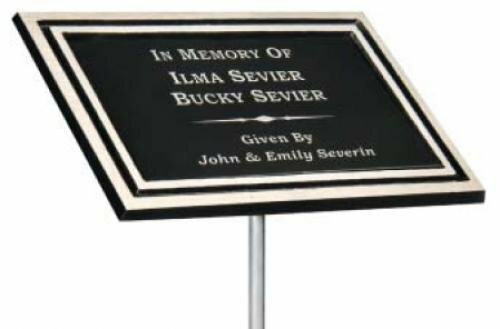 Commemorate a special person or event with a cast metal bronze plaque.?? Or use one of our inexpensive garden signs to dedicate a garden or tree im memory of someone special. FREE Engraving. 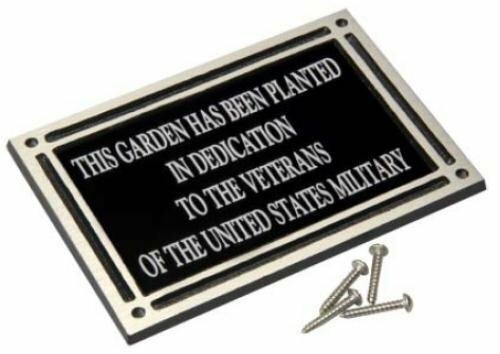 The garden signs have a cast aluminum frame and an annodized aluminum laser engraved plate. It can be mounted to a flat surface with screws. Overall: 4" x 6" Plate: 3" x 5"
Overall: 6" x 8" Plate: 5" x 7"
Overall: 8" x 10" Plate: 7" x 9"
The garden signs have a cast aluminum frame, 24"" aluminum stake and an annodized aluminum laser engraved plate. It is an inexpensive choice for a Garden Dedication Plaque or Tree Memorial Plaque. These signs are usually used to commenrate or memorialize gardens or planted trees. 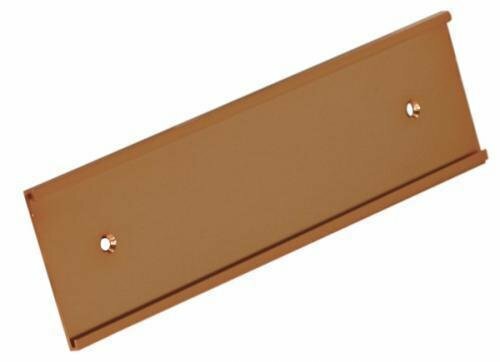 - COUNTER SUNK HOLES ARE 3/16". THE HARDWARE NEEDED TO ATTACH TO THE WALL IS A #4 FLAT HEAD SCREW.